Move over Charity: Water. Here comes Love, Light and Melody. Move over, Charity: Water; here comes Love, Light and Melody. On The Ground from Love Light & Melody on Vimeo. That’s the one thing that gets me about Live, Light and Melody. They look good, sound good, and most importantly they are out there in the field but what exactly are they doing? I have watched a couple of their videos and it seems they are working with the children of the individuals that spend their days scavenging through the trash heap. It’s nice to see that they work with local orgs already on the ground but I still need a clearer picture of what exactly they are up to. Perhaps they’ll discover this post and leave a comment which lays out their game plan. One thing I did notice the horrible, acrid smoke which continuously billows from the burning trash. I am not sure they want their volunteers spending too much time in that toxic plume. I noticed that one of their projects focuses on getting the kids out of the area for a bit of break. I have to imagine that part of the reason is to get them away from the fumes and smoke. 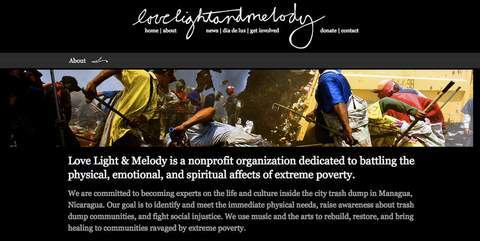 Kudos to Love, Light and Melody for the work they are doing. I just hope they focus on the Light component and start working on clearing the air down there.